There should be no doubt in any presenter's mind that storytelling is important. If you are still not convinced, go and read "Story Proof" by Kendall Haven. You can also find helpful tips about how to find a story for your presentation - even if it is a technical one - elsewhere on this blog. None of this is new and you should really be using this in your presentations already. So let's move on to a somewhat advanced tip. 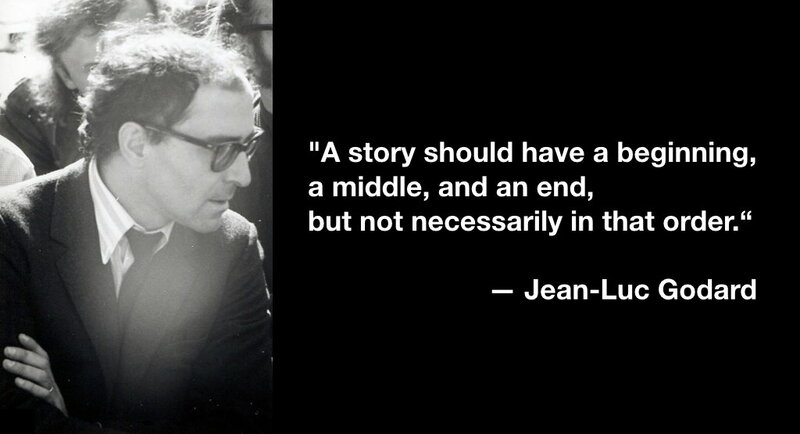 "A story should have a beginning, a middle, and an end, but not necessarily in that order." Do you always have to tell your story in chronological order? Of course not. Sometimes, for greater impact, it makes more sense to start with the end, i.e. the conclusion or solution. While a story will draw your audience in, since we are used to being told stories and want to know how they end, the other aspect to keep in mind is that you will have your audience's full attention at the beginning of a talk; which also means that they will remember this part very well. So why not make the most of all of these factors - and start with the end? A welcome side-effect of this approach is that your presentation will now be shorter than if you did it the usual way. Because you already told them how it ends, there's no motivation to hold back any information. Instead, and that is often what people are most interested in, you can now concentrate on what your solution actually means and how it can be used, in the present and future. With this simple switch, you are now telling a new story. Starting with the end will let you look forward, not backward. "... not necessarily in that order" by Dirk Haun is licensed under a Creative Commons Attribution-ShareAlike 4.0 International Licence.